Did you know that Google has recently launched a Mobile Sites Certification program which provides the web developers and marketers the chance to display their proficiency in creating mobile websites? 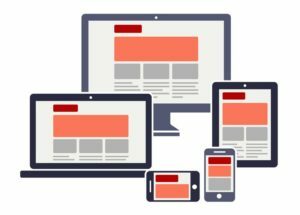 If you want to become certified in Mobile Sites, you have to pass an examination which will definitely test your expertise in some of the most important areas of website development, especially in mobile devices. When candidates successfully complete the exam, the developers are granted with a printable certificate and they can enlist on the Google Partners profile showing that they’ve passed the examination with flying colors. The exam consists of 65 multiple choice questions which include true and false questions as well and they all cover basic and advanced concepts. Those who are sitting for the exam usually are given 90 minutes to complete it and they need to achieve a score of around 80% in order to pass. The developers will never have to depend only on their on-the-job experience in order to pass the exam. Google even provides a guide for the developers who can review it and increase the chances of passing. Here are the 4 modules of the study guide that you should check out. You can well understand by seeing that an entire module is dedicated to the speed of the site to conclude the importance of site speed in today’s age. One more thing that is worth noting is that examination doesn’t test a developer’s knowledge on developing any specific Operating System. Rather it is a strict test of expertise in mobile website building. Although Google puts stress on the fact that this exam is only for marketer, the SEOs and digital marketers are all taking this exam in order to become certified in becoming an expert mobile website builder. This is indeed an accreditation which fits anyone who is working with mobile websites in any manner. If you too wish to, you can get this course done by taking this exam mentioned above.